Here is a trip to Rio, maybe during the World Cup 2014 or Olympics games 2016. Once at the airport and in town, several choices are available to you: Taxi, bus or rental car. (And the metro within the city). Taxi is an inexpensive and safe way to travel to Rio de Janeiro. There are many taxis and there will always be someone to take you to your destination! There are two types of taxis in Rio. Yellow taxis whose rates are regulated and are mileage paid, and others who are paid to race (a little more expensive, but with not surprise). It is always possible to rent a car to visit Rio (and go the airport). However, Rio de Janeiro is a city with high traffic. If you only want to visit the city, so we recommend that you use the car rental and prioritize public transport in order to avoid jams. The metro is the most efficient way and the fastest way to travel in Rio. The ticket costs about € 1/ 1.3$ / £ 0.9. 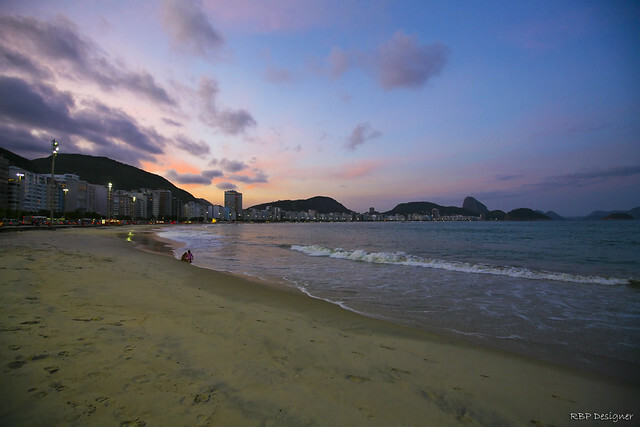 You can go up to Rio Ipanema (for more destination, matches by train or bus exist). Here is the map of the subway in Rio. Warning: Excluding periods of carnival, Rio subway stops at 0:00. If you are a man, do not use the cars with a pink sticker, they are reserved for women during peak hours. (usually these are the last cars). Many activities are expected to Rio and around, even outside the periods of Carnival. 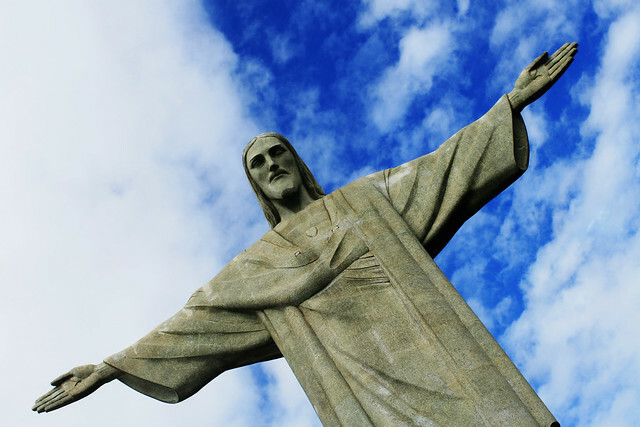 The Christ Redeemer : The famous statue, the symbol of Rio and Brazil Christianity. Sugarloaf Mountain : A peninsula that sticks out into the Atlantic Ocean. Accessible by cable car. 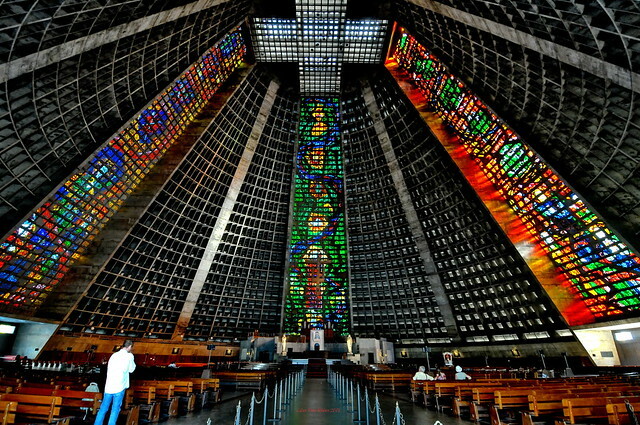 Rio de Janeiro Cathedral : Atypical, built between 1964 and 1976 is even more amazing inside than outside. Maracanã : One of the largest football stadiums in the world, built on the occasion of the World Cup 1950! Jardim Botânico : More than a botanical garden, this is a district (rich) of Rio. 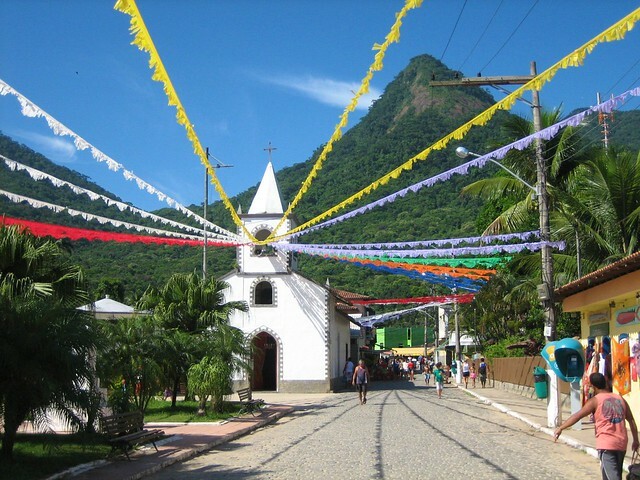 It is bounded to the west by the mountains and the temperatures are softer than in Rio. 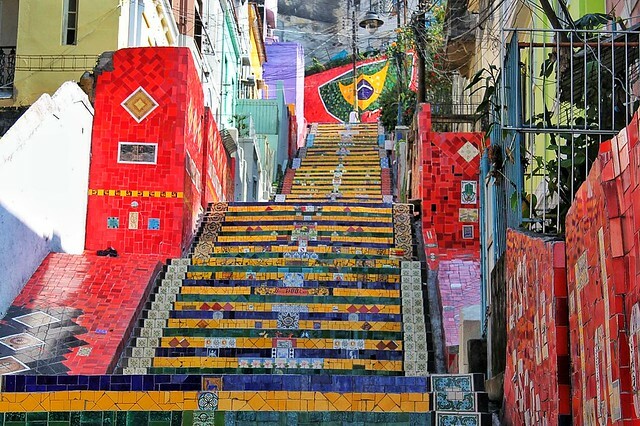 Santa Teresa : Area considered as the “Montmartre of Rio”, you can walk there in the many steps through it. We also recommend a drink to our health at the famous Confeitaria Colombo ! South of Rio and accessible by boat (count less than 2 hours and 10 €), Ilha Grande is the largest island in the bay. You can see beautiful beaches with crystal clear waters, and take the opportunity to swim (or hiking). You can go through water taxis to reach another beach on the island. Candelaria church : A church whose architecture reflects a building over several decades. To visit! Selarón : Colorful stairs made ​​by the Chilean artist Jorge Selaron! A visit to Rio is also the opportunity to discover brazilian musical culture ! Samba, dance of the carnival, bossa nova, forró and frevo… And capoeira afro-brazilian martial art. You want to go to Brazil ? Rio de Janeiro ? Clone or create your trip on Veezeet. See you soon onVeezeet !